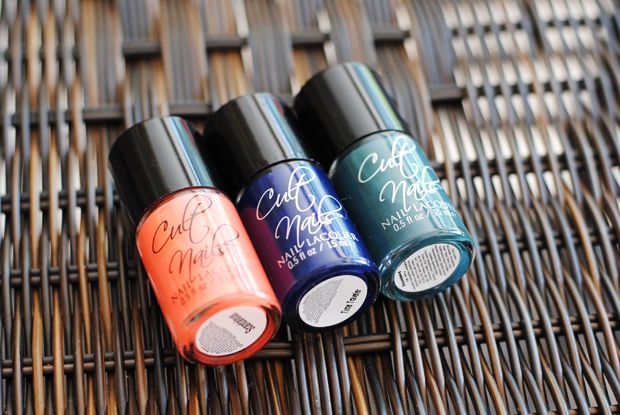 Like I mentioned last week in my recap of the blogging event in Downtown Orlando, Let's Talk Beauty, I finally got to try out some nail polishes from Cult Nails. I've seen the great reviews from Temptalia, so it was only a matter of time before I got my hands on some. I only purchased three, but I do believe I will be purchasing more in the future because I am absolutely in love with this formula. The three colors I purchased were Scandalous (pastel coral), Time Traveler (deep navy blue), and Awakening (muted teal). Both Time Traveler and Awakening are both completely opaque with just two coats. Scandalous, if I am not mistaken, is a jelly finish, so with two coats it isn't completely opaque. I would say that it is semi-opaque, as it still has a nice coverage but you can still see a bit of the nail line peeking through. This is a really great work-appropriate and everyday kind of nail polish. These nail polishes have lasted a full week on me with very minimal chipping and tip wear. I'm completely amazed! Most nail polishes chip on me within the first one or two days of wearing them. These really stick onto the nail. Fair warning: Time Traveler does have a tendency to stain, but not as much if you use a base coat. But I don't really care, Time Traveler has definitely turned into one of my all-time favorite nail polishes. It's such a beautiful color and is so shiny, even without a top coat! Now onto the value of these polishes! Cult Nails are 4 free and cruelty free. Each nail polish is $10 for .5 oz (15 ml) of product. 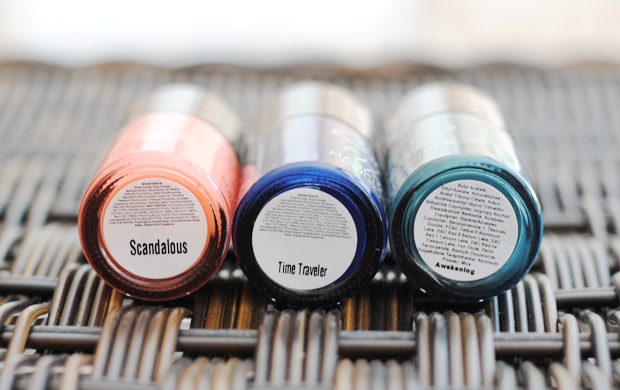 OCC nail polishes are $8 for .5 oz of product. Butter London nail polishes are $14 for .4 oz (11 ml) of product. Deborah Lippmann nail polishes are $16-$18 for .5 oz of product. Zoya nail polishes are $8 for .5 oz of product. So as you can see, Cult Nails lacquers are a smidgen more expensive than OCC and Zoya polishes for the same amount of product, however, the Cult Nails formula lasts ages on my nails! OCC and Zoya nail polishes only stay on my nails for 2 or 3 days MAX, and there is normally a lot of chipping involved. Cult Nails is definitely the winner in this area! Like I've mentioned in a previous blog post, Cult Nails is based in my hometown which is a major plus for me. Knowing that I'm supporting a local business really means a lot to me, and I feel a little bit proud that this company really lives up to its hype. Maria, the wonderful owner of Cult Nails, is an absolute doll, and I am really looking forward to see what other shades she comes out with in the future. In case you couldn't tell, I highly recommend this brand! Definitely check them out. You can find their lacquers on their website, CultNails.com. Thanks girl! I'm sure you've been busy but I'm sure you'll love them! Loving "awakening"! Would look so pretty for fall. It's such a great fall color! You need 'em! They're my favorites! You should definitely check them out!